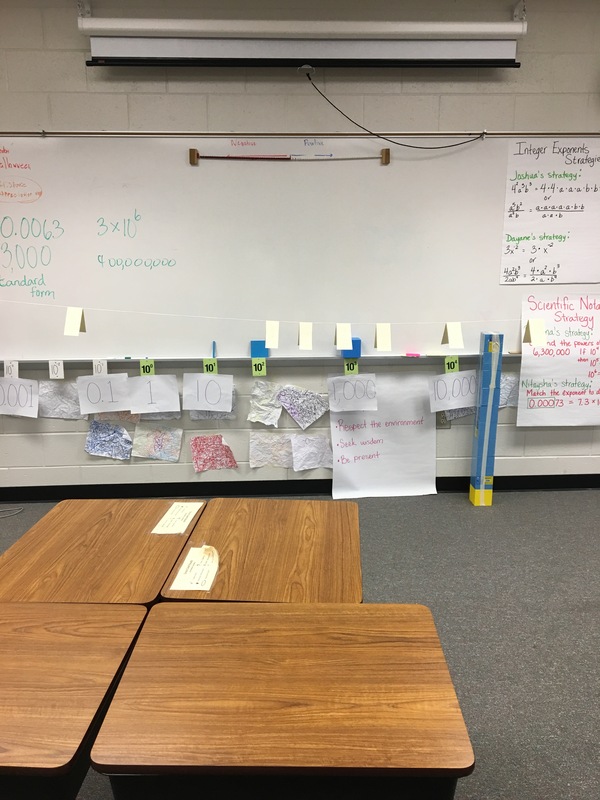 I was introduced to clothesline number lines through the #MTBoS. I inquired more about it and was provided these resources (1, 2, and 3) by @mr_stadel. After doing some research and making sense of the instructional idea for myself, I decided to try it. We’re focusing on scientific notation, not just converting and operations but ordering and comparing. 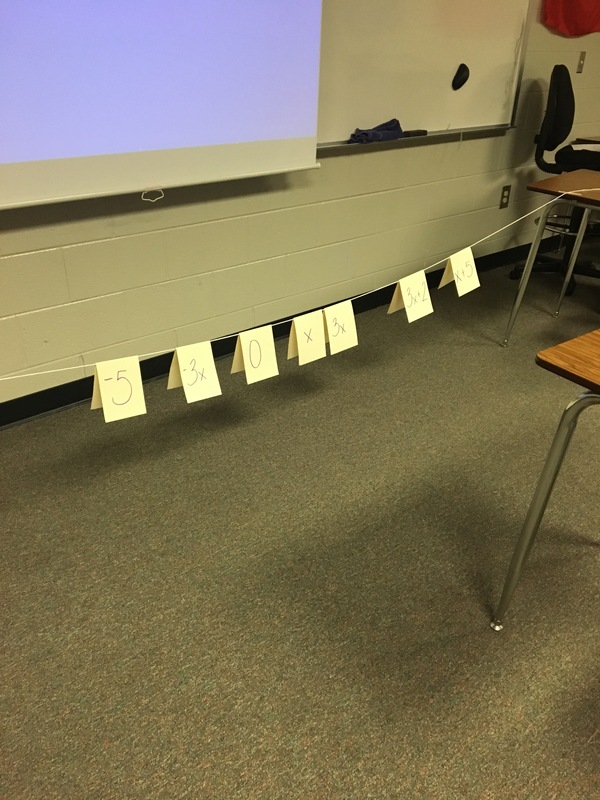 On my first try with clothesline number lines I provided each student with a card. 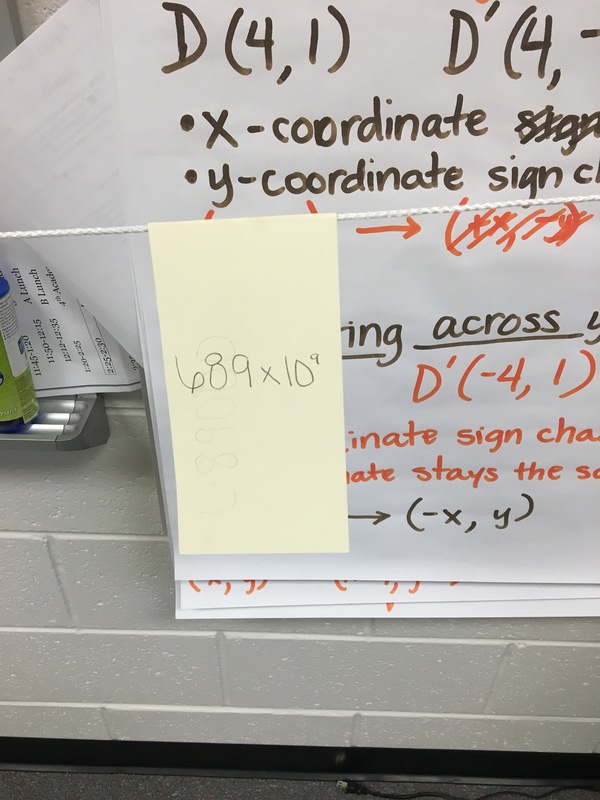 I asked half of the class to record any number in standard form and the other half of the class write any number in scientific notation. The goal was to order the numbers from least to greatest. 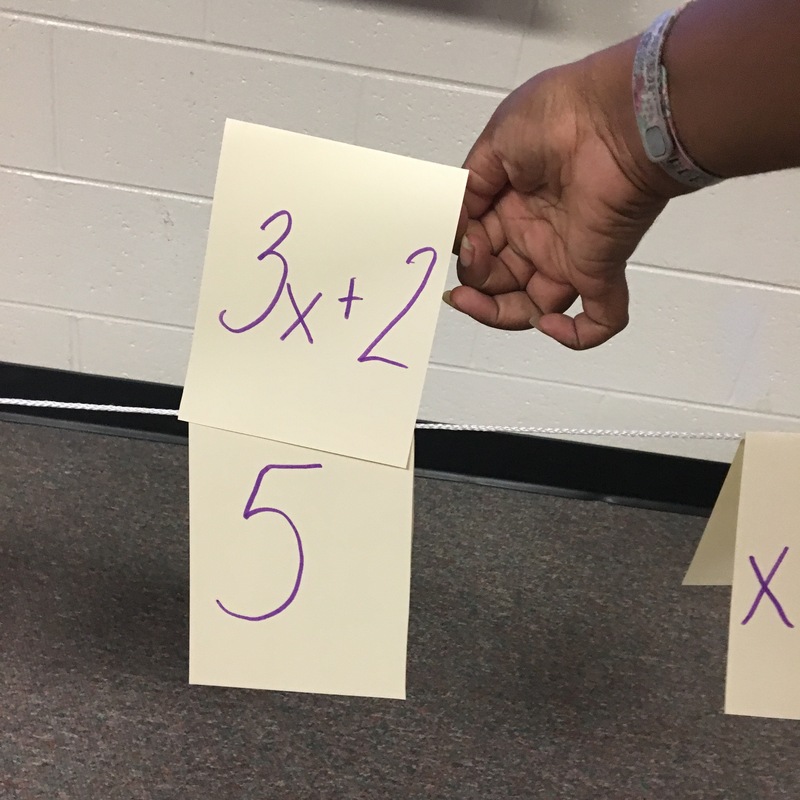 Students took about 90 seconds to place their numbers on the number line, sliding cards and shifting cards where they felt necessary. As a whole group, we took a step back to analyze the cards and one student said aloud, “Which end is the least and which is greatest?” I though to myself, great thinking and we briefly discussed how an empty number line can start and end with any number. From that part on, while in the heat of the moment, I thought the lesson was an epic fail. 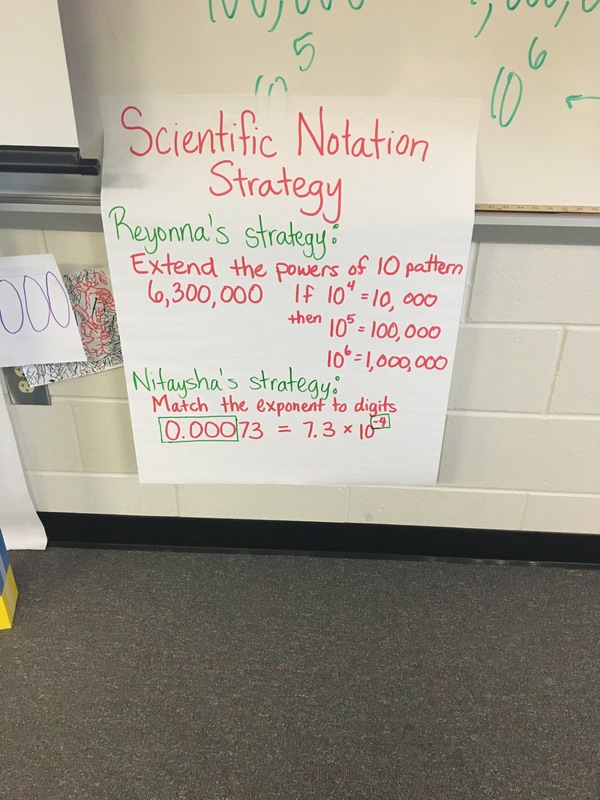 Students remained focus only on the order of the number in scientific notation and did not consider how they compared to the numbers in standard form. As I tried to draw their attention to this oversight, I noticed some students began to check out of our discussion. So I summarized our discoveries and moved on to the next activity. Later as I reflected upon this activity, I noticed the beauty in the oversight. 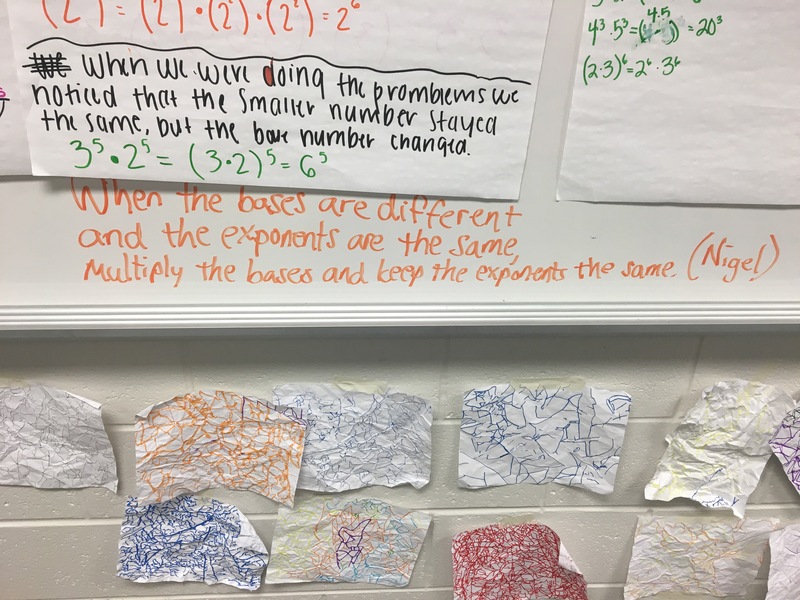 Although students were able to convert between the two ways to represent large and small quantities, they had not yet been able to apply this understanding. 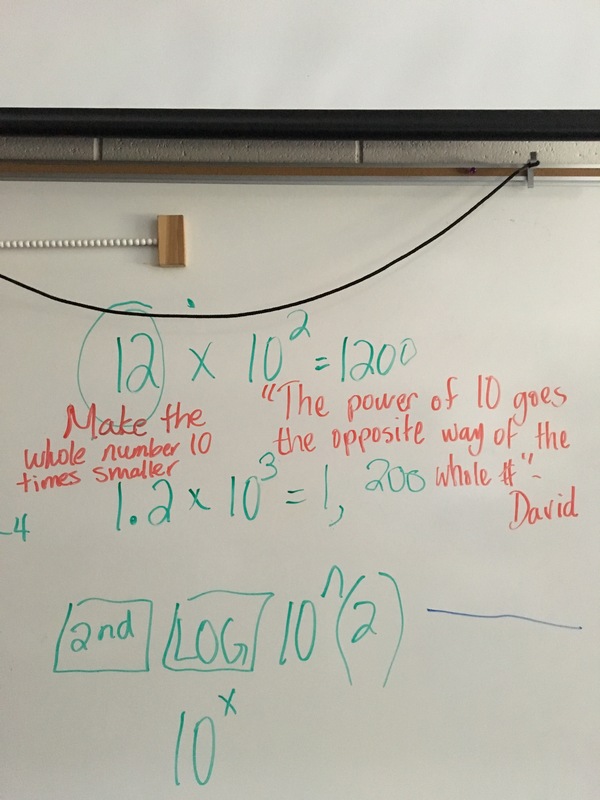 I also realized students did not have a full understanding of the magnitude of the number when written in scientific notation. Perfect, I knew exactly what I needed to target! 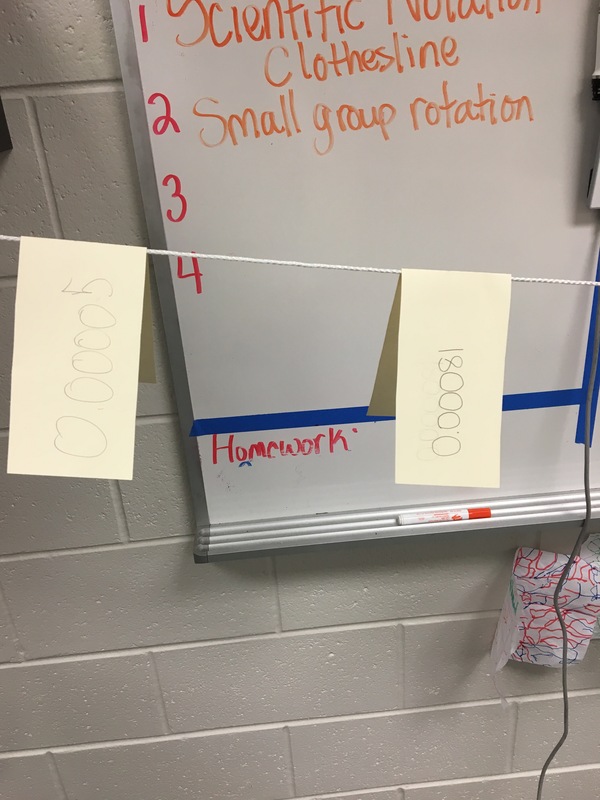 On the high of the benefits of using clothesline number lines, I quickly developed a plan to present this within a professional learning session I was slated to conducted for other math teachers within my district. This time, the focus concept would be expressions and equations. Many teachers committed to trying this idea within their classrooms within the upcoming week. I can’t really say students traditionally struggle when using operations with scientific notation. Some of my students were apprehensive about the concept as we transitioned from converting to computing. Again the saving grace was beginning with the conceptual using base ten blocks. We used a combination of concrete manipulatives and virtual manipulatives. 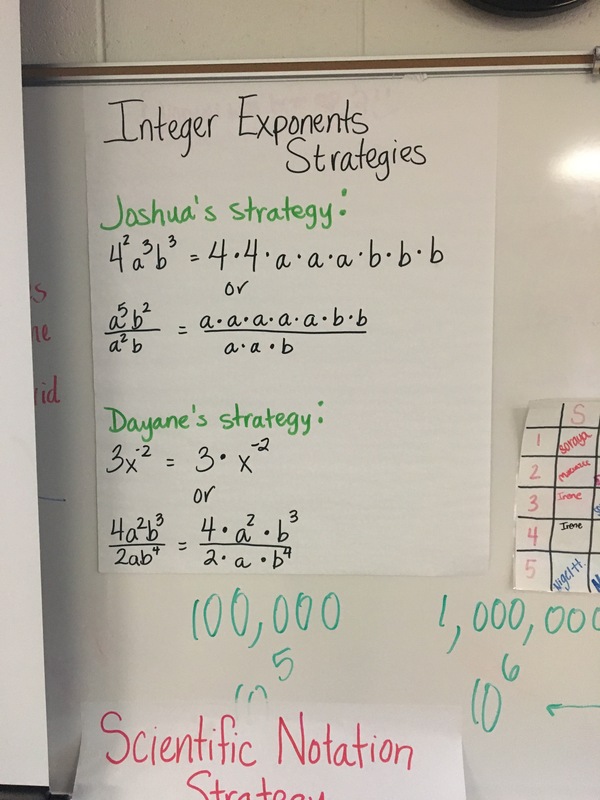 I’ve been enjoying my year teaching Introduction to Algebra. This portion of Unit 3 isn’t any different as we are working with scientific notation. Last year, I wrote a post about how teachers have traditionally discussed this concept in this post and this post. 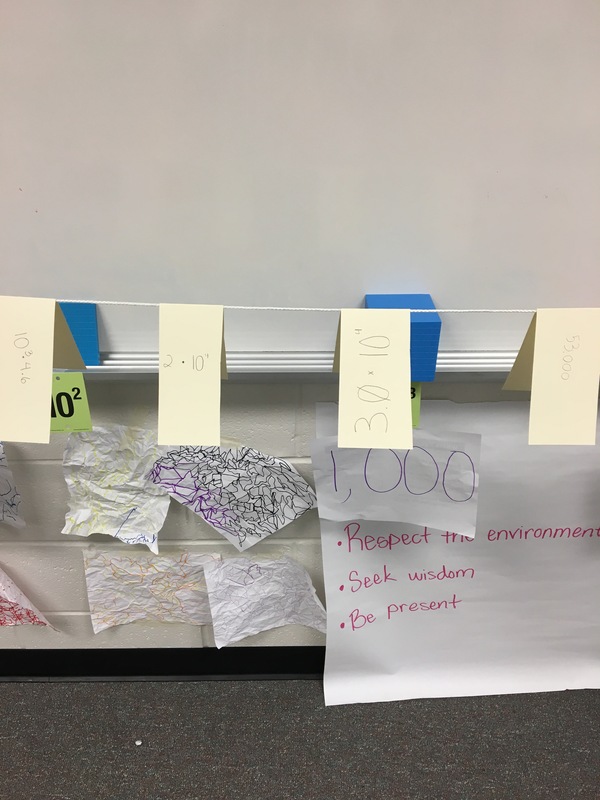 Therefore, I wanted to do my very best at presenting this concept through the lens of place value understanding. 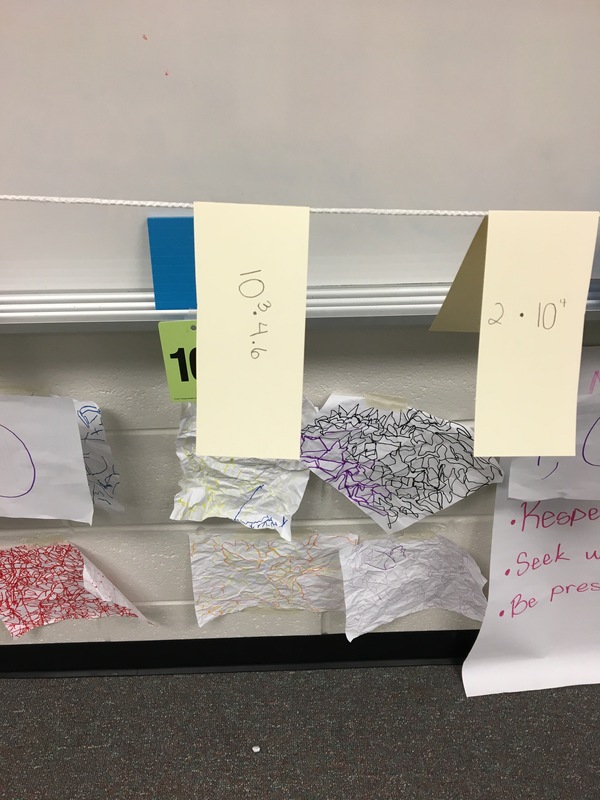 Our first activity was connecting base ten blocks, powers of 10 and decimal notation or standard form through the context of a number line. Hindsight, this would have been a great bridge to implementing clothesline number lines. 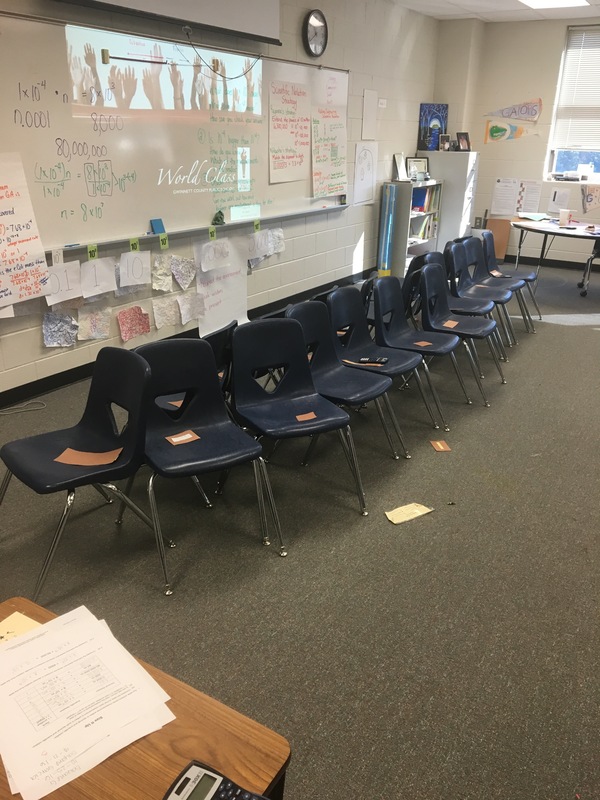 What we actually did was create a human number line. 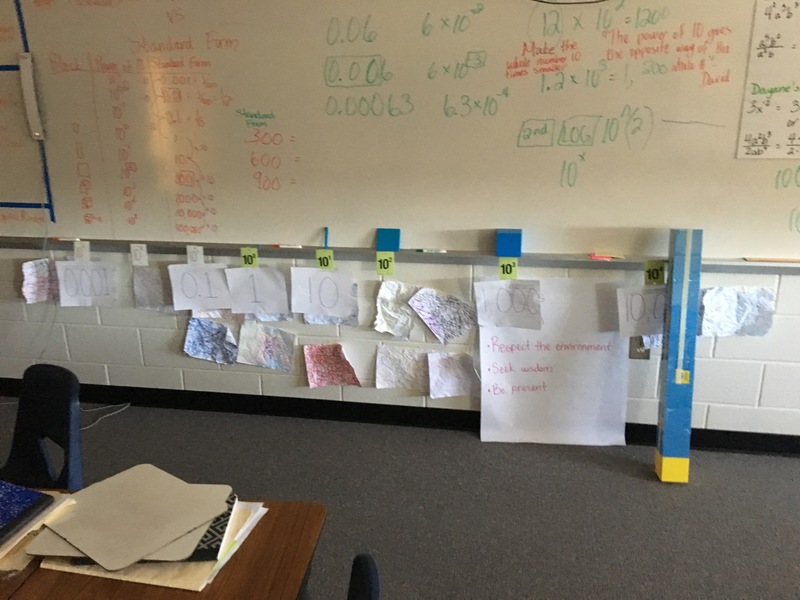 As we transitioned from concrete to representational, we constantly referred back to our physical number line and the equivalent values. 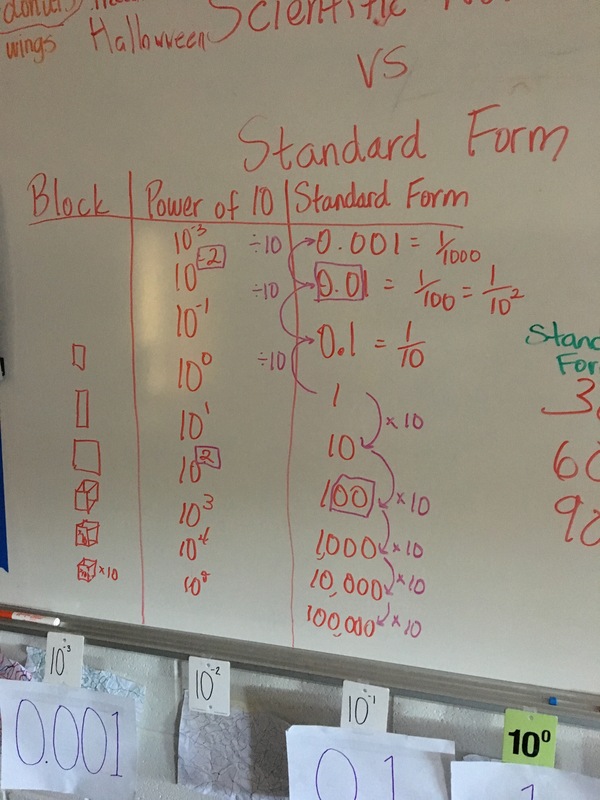 Looking at the numerical representation, students were able to identify patterns among the powers of 10 and exponents. Beginning with base ten blocks made the transition to converting between decimal notation and scientific notation very simple. We looked at 3 cubes and determined not only did they represent 3,000 but also 10^3 three times or 3 x 10^3. We tried a few examples using the blocks we actually had before extending it out to the millions. 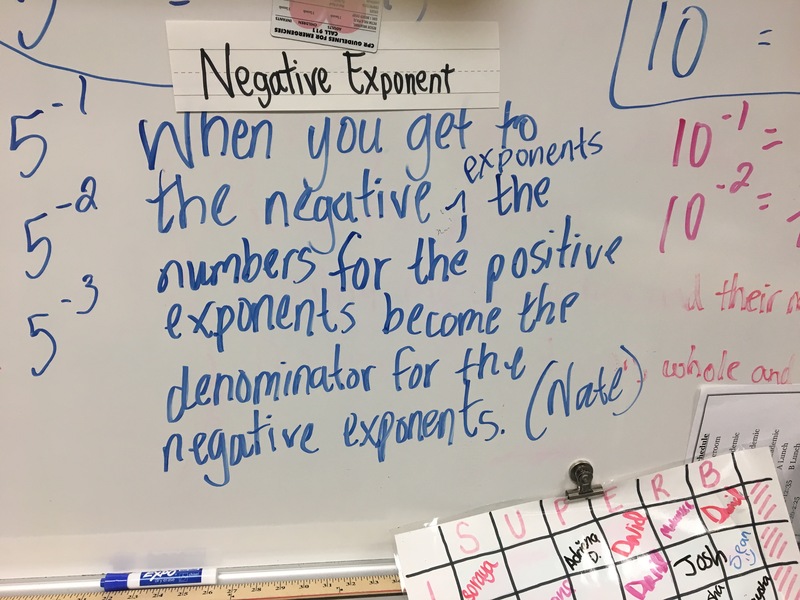 By now you may be thinking, how did we discuss exacting how to convert a number in standard form to scientific notation. Of course the topic of the decimal point moving can up, mainly because students heard this terminology within their science class. I used a draw place value chart to demonstrate how the digits shift and the decimal stays put. Later, I was introduced with this site which helps to illustrate my point. 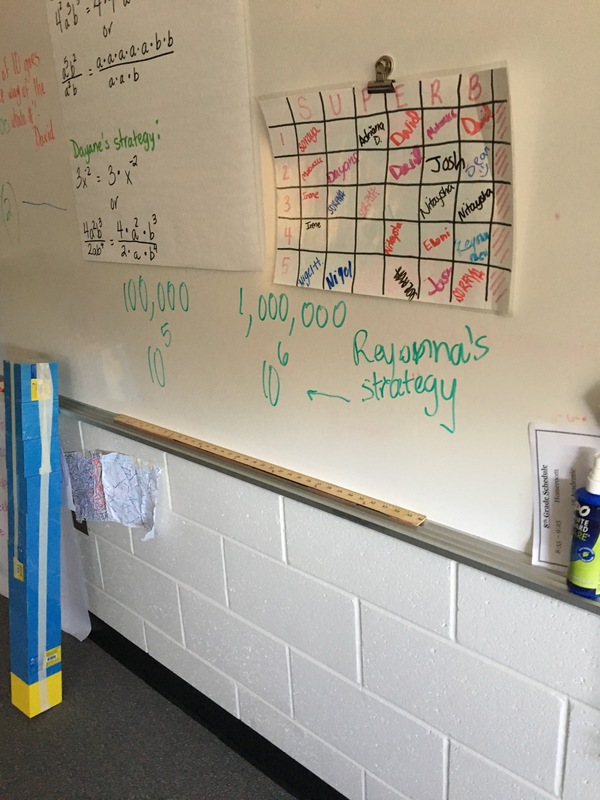 During our discussions, I would explicitly state when the digits shifted and how many spaces and connect it to a pattern previously identified by a student. 10 flats is 10 x 10^2 which students were able to determine was equivalent to 1 x 10^3. We were able to conclude is scientific notation is written with a whole number coefficient less than 10. Students had a conceptual understanding of why it is a whole number less than 10.